Introducing pH-Bonder, a unique synergistic system to promote bond integrity during and after a professional haircolor or lightening service. pH-Bonder is our new bond protecting service, specifically designed for our hairdressers. With input from our long-term partnerships with hairdressers, L’Oréal’s Research & Innovation Department used its 100 years of scientific expertise and long-standing knowledge in high-performance haircolor and hair care to create pH-Bonder. Discover it now at your Redken salons. Helps restore the hair fiber and smoothes hair’s cuticle for improved strength, shine and softness during/after technical services. Helps maintain hair’s natural pH at home. Recommend for use once a week (before shampoo) alongside your Redken haircare regimen. After your appointment, the coordinated weekly, at-home Post Service Perfector will help you maintain your hair’s natural pH. 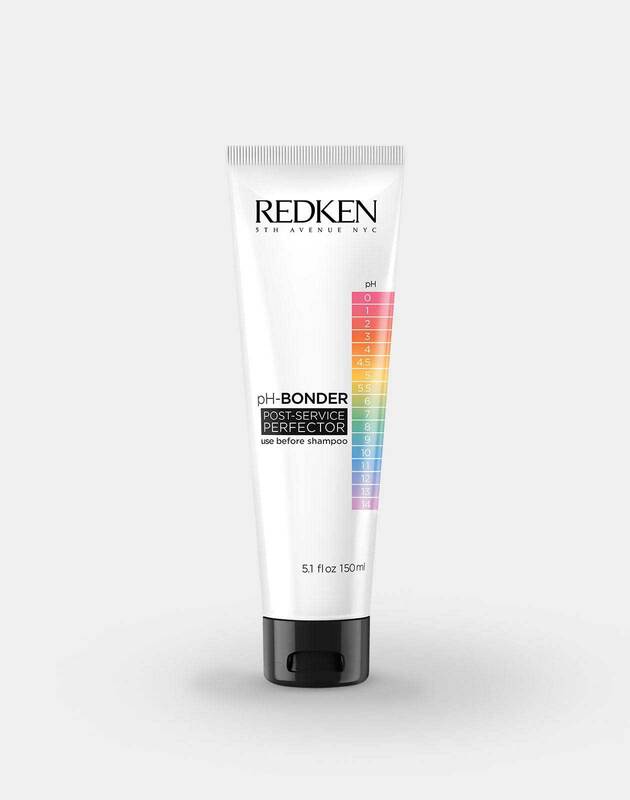 Visit RedkenPro.com to get pH-Bonder information that is just for our professionals. Learn more about pH-Bonder here. Ready for the pH-Bonder add-in at your next lightener or haircolor service? Find a salon today!